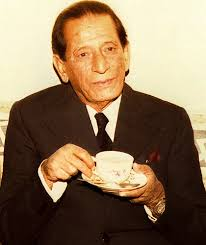 ISLAMABAD, Mar 21 (APP):The famous filmmaker, writer and music composer, Khwaja Khurshid Anwar was remembered on his birth anniversary on Thursday. Khwaja Khurshid Anwar was an illustrious music composer who gained tremendous popularity both in India and Pakistan. He is widely credited as being one of the most original music directors of his generation. He was the Programme Producer (Music) at All India Radio, Delhi in 1939. An extremely successful and widely respected music director, Khurshid Anwar was born into a well-off family on 21 March 1912, in Mianwali. His father, Khawaja Ferozuddin, was a prominent barrister. Khurshid Anwar was also a brilliant student at Government College, Lahore. In 1935, having topped in the Masters in Philosophy, he appeared in the examination for Indian Civil Service but due to his political and anti-Raj activities, the colonial masters would not let him share power. Interestingly, he had also absented himself from the prize-distribution ceremony of the Punjab University, Lahore. When his name was called to receive the Gold Medal in Philosophy, nobody turned up. The British Chancellor of the Punjab University who was awarding medals remarked that the student having forgotten to receive the medal is a true philosopher.The emphasis in Khursheed Anwar’s compositions was always on melody and purity of raags. In some of his wistful numbers, his sailing flutes in the foreground and violins in the background convey to the listener the true feeling of a broken heart. He has also been praised for his efforts to keep alive Classical music not only through his compositions but also through his unique collection of classical performances recorded by EMI Pakistan, known as Raag Mala. Each piece has a short introduction by Khurshid Anwar and aptly demonstrates his love for music. In recognition of his services for the cause of music, he was awarded the coveted ‘Sitara-e-Imtiaz’ by the Government of Pakistan in 1980. Throughout his 43 year’s long film career, he composed music in only 31 films but the emphasis was on quality and not on quantity.